I am especially excited about this one, for a number of reasons. I love New Mexico—its history, people, and landscape—and though we could spend a week devoted to any number of subjects, this military history/war theme allows us to take a comfortable loop beginning and ending in Albuquerque, while time-traveling through very distinct eras of New Mexico history. 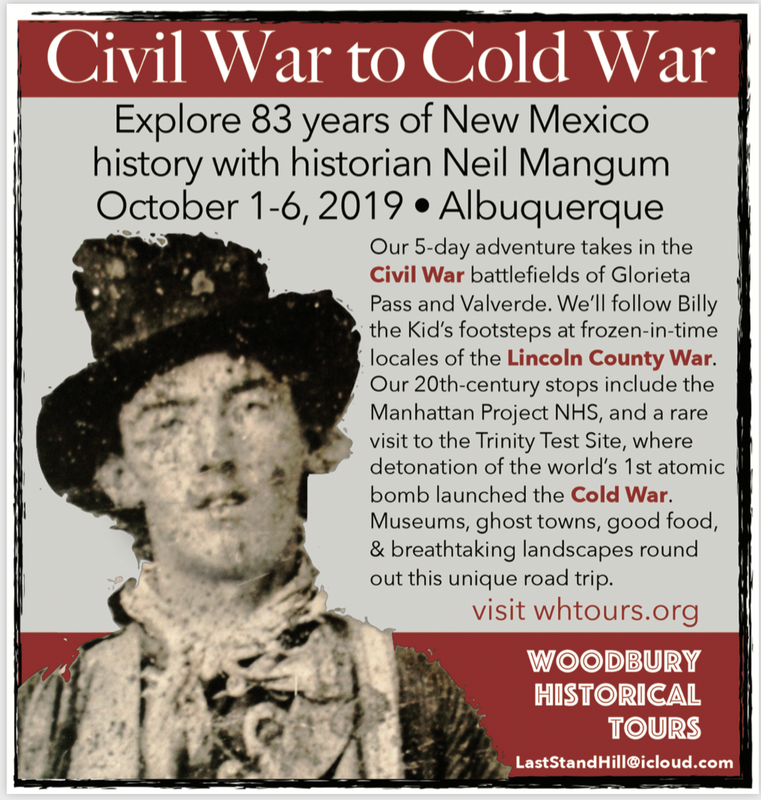 In one picturesque, clockwise journey we’ll take in Civil War battles from the Confederate invasion of New Mexico—Valverde, and the Battle of Glorieta Pass, with a cast of colorful characters. 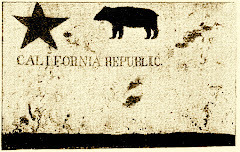 Pat Garrett and Billy the Kid, et. al., will feature prominently in our coverage of the Lincoln County War. Likewise, we will literally visit Ground Zero of the Cold War at the Trinity Test Site—where the United States detonated its first atomic weapon (this site is only open to the public on TWO days per year). Filling out our Cold War education will be visits to Manhattan Project National Historic Park, and the National Museum of Nuclear Science and History in Albuquerque. When we return to Albuquerque, the city's famous Balloon Fiesta will be getting underway—so come for the history, and stay for the balloons.